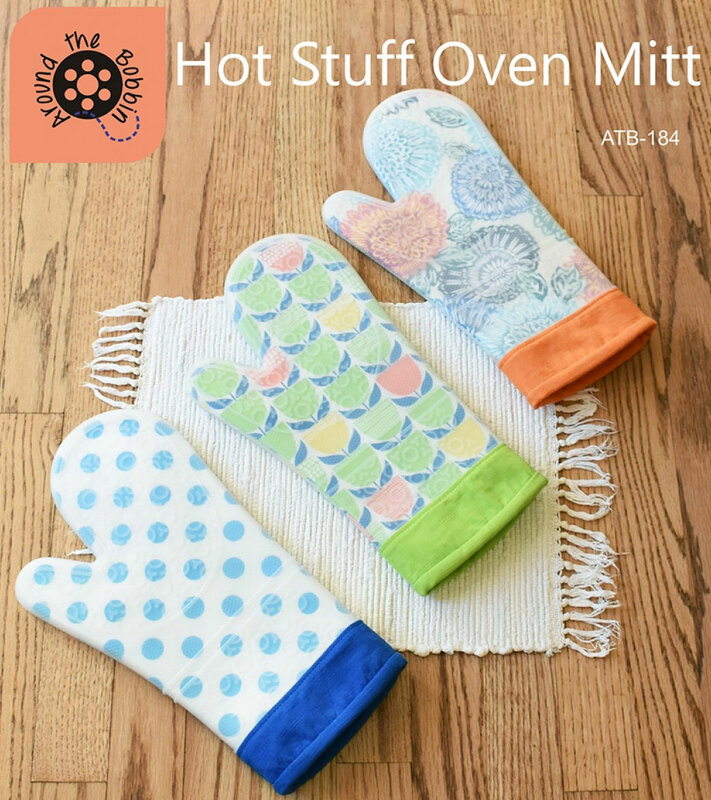 Hot Stuff Oven Mitt sewing pattern from Around the Bobbin. 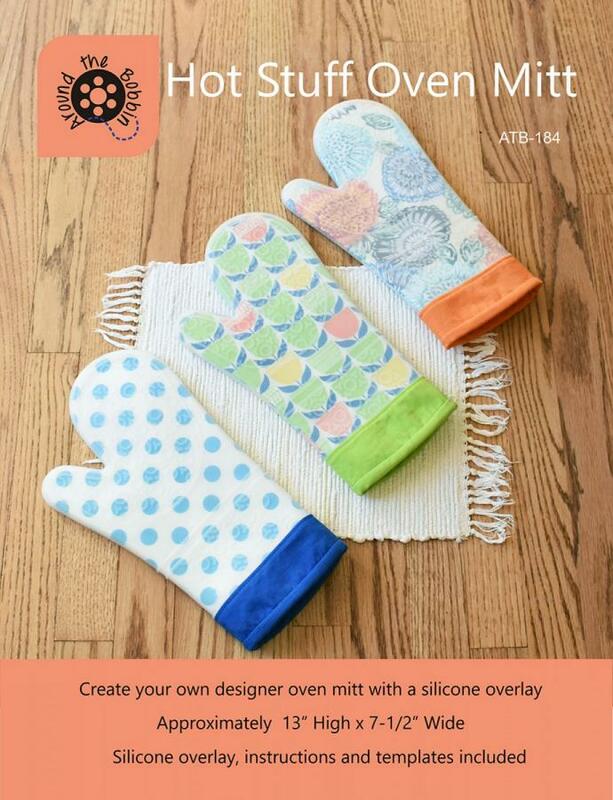 Learn how to create a designer silicone oven mitt using your favorite fabrics. One transparent silicone overlay, instructions and templates are included in this pattern pack. 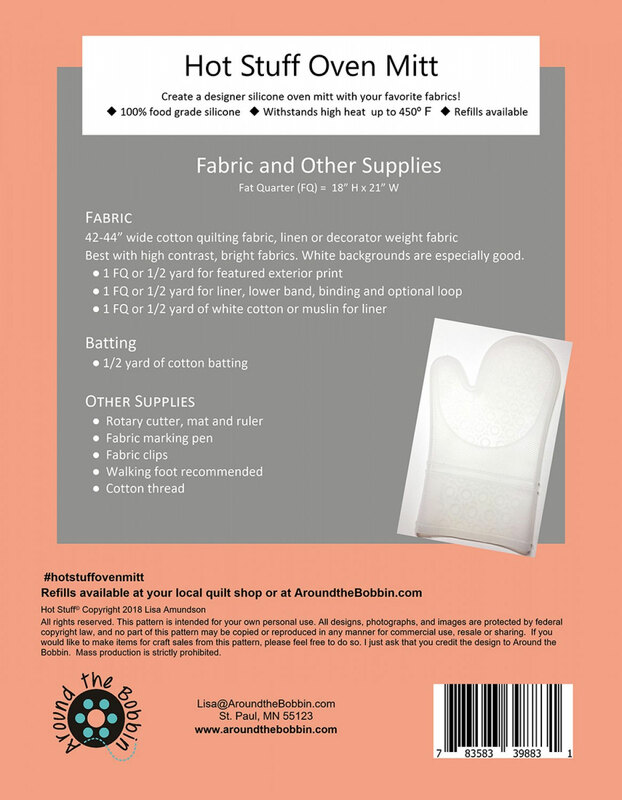 Just add fat quarters of your favorite fabrics and cotton batting. Silicone overlay refills are available for separate purchase. Makes one oven mitt approximately 13in x 7-1/2in. Silicone overlay is 100% food grade silicone and heat resistant up to 450 degrees. Don't forget your Silicone Refills. You can get them here. Click pattern back image above for more information on required materials and supplies.